In some situations, auto accident litigation may be relatively simple. The cases become more complicated, however, when substantial injuries are involved and there are questionable insurance coverage limits on the other vehicle. In the event of limited coverage, some attorneys suggest accepting a settlement. At the Bernard Law Group, however, we explore every avenue of recovery. Both the operator of the at-fault vehicle and the owner of that vehicle are responsible for anyone injured in an auto accident. If the operator was driving the vehicle with permission, the owners are responsible for the negligence of that person. This is extremely important when the vehicle at fault is leased. Because so many leased vehicles are on the roads today, it is imperative that an experienced attorney goes beyond the name on the registration to determine the exact owner of the vehicle. Typically the registration of a leased car bears the name of the lessee, but the actual owner of the vehicle, the lessor, is a major corporation with unlimited insurance coverage. When a vehicle accident lawyer with no experience in these cases fails to uncover the actual ownership of the at-fault vehicle, the injured victim is never given an opportunity to recover damages via that additional insurance coverage. While many companies commonly display their names on their business vehicles, there is often no way to determine simply by looking at a car or truck that is is, in fact, being operated for a business purpose. The only way to find out the real use of any vehicle is with an in-depth investigation. If an employee operates a vehicle as an aspect of their employment, the employer may be “vicariously responsible” for the negligence of that employee. In all likelihood, the employer has additional liability coverage far exceeding that of the driver. An “excess” insurance policy may also exist. Additionally, highway defects should never be ruled out in assessing fault in an accident. These may include improper design, maintenance, construction, signage, or lighting. Liability may also be based on improper striping on the road’s passing lanes, a hill that impairs driver visibility, or a sharp obstruction that impairs the driver’s field of vision. Trees and utility poles can also cause problems when planted or erected too close to the roadway. Seatbelts and airbags provide an important function and often prevent serious injuries and even death. They do not, however, guarantees that a person will not be killed or injured in a serious accident. Seatbelts and airbags can fail or can, themselves, cause injury. These realities do not, however, stop defense attorneys working on behalf of the at-fault driver from claiming that the plaintiff’s injuries were caused by their failure to wear a seatbelt. Attorneys experienced in these kinds of liability cases have the expertise to deflect the seatbelt defense. 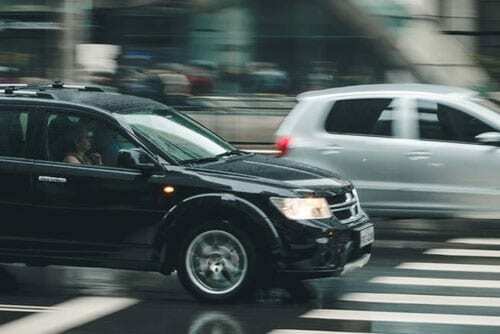 In cases involving vehicular accidents, a routine investigation must be completed. Police records must be obtained, along with witness interviews and photographs of the accident scene and resulting damage. All insurance companies must be contacted promptly to determine available coverage limits. When an attorney contacts the insurance company directly, in most states the insurance adjuster will then be prevented from communicating directly with the plaintiffs. Many times, the at-fault driver’s insurance company adjuster will attempt to record a statement from the victim without the advice of counsel. This should never be permitted. In the event that the negligent vehicle does not have insurance coverage, it is extremely important that you make a timely claim with your insurance company for uninsured motorist coverage. Sometimes, this coverage is automatically contained in your policy to cover your injuries when the other vehicle is not insured. However, to take advantage of this type of coverage, a timely claim must be presented. Delay most often results in denial. Similar coverage is also available for underinsured vehicles and is often included automatically in your policy. Investigate this possibility immediately. Why Hire The Attorneys At the Bernard Law Group? Often the success of a case rest on the experience of the attorneys involved, and their willingness to aggressively pursue a satisfactory outcome. At the Bernard Law Group, our lawyers have a proven track records in the areas of personal injury, products liability, construction accidents, highway/roadway design defects, drug product litigation, aviation accidents or other areas of negligence. We explore every possible avenue of recovery for our clients, especially in cases where injuries are substantial and the insurance coverage is inadequate. We understand your need to replace lost wages and future income, to repair the damage to your car, to pay for your medical and rehabilitative expenses, and to be compensated for pain and suffering. We bring that expertise to bear for each of our clients and investigate all areas of recovery to the fullest extent.